This article is 152 days old. 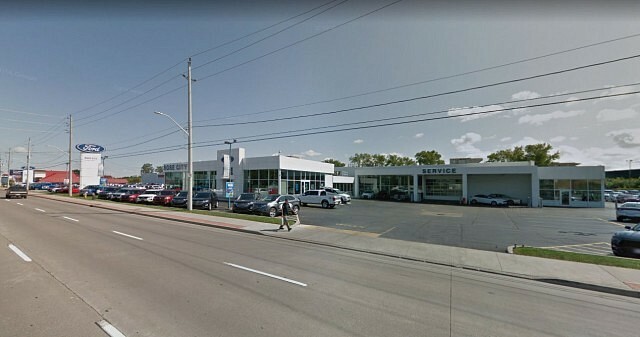 Rose City Ford as seen on Google Streetview. Rose City Ford has been sold. The 65,000 square foot facility, an 11-vehicle showroom, 28 service bays and a collision centre has been acquired by AutoCanada Inc.
AutoCanada is a multi-location automobile dealership group currently operating 69 franchised dealerships, comprised of 27 brands, in eight provinces in Canada as well as a group in Illinois, USA and has over 4,200 employees. “We can’t wait to welcome the Rose City Ford team to AutoCanada and we look forward to continuing to build the Ford brand in Windsor with them,” stated Michael Rawluk, President of AutoCanada.